Set the course for your life. Apply for the Summit Program. You’re graduating college. What’s next? Welcome to the Summit Program, our full-time staff role at LeaderTreks Youth Ministry. It is a two-year position for recent college graduates who are looking to further our mission of developing the next generation of leaders. We are passionate about youth ministry and will equip you to better minister to students.If you’re interested in full time ministry, the Summit Program will give you the skills to be successful. As a full-time staff member at LeaderTreks, you will lead trips for students, equip students through Leadership Training Events, and be a part of the LeaderTreks Youth Ministry team. 1. Be trained for 16 weeks in the LeaderTreks program and leadership development model. Learning how to teach our Leadership Training Retreats. Through this, you will grow in your understanding of leadership and in your ability to teach for transformation. Developing the ability to facilitate and debrief our team-building initiatives. Building a leadership and personality profile by using 8 different assessments. Understanding the biblical basis of our 10 Leadership Principles and 5 Tasks and Traits of a Leader and knowing how to use them for discipleship. Being a supporting trip leader on fall and spring trips. You will work alongside an experienced LeaderTreks trip leader on these trips, learning from them about how to lead trips effectively. Understanding the basics of effective discipleship and how to develop students as leaders. 2. Lead mission and wilderness trips for 10-15 weeks each year. Although the summer is our main trip season, we also run trips in the fall, winter, and spring. You will lead 3-5 weeks of trips during the school year and 9 weeks of trips during the summer months. You will work alongside missionary partners throughout the United States and Latin America who are committed to the Lord and are passionate about developing leaders. 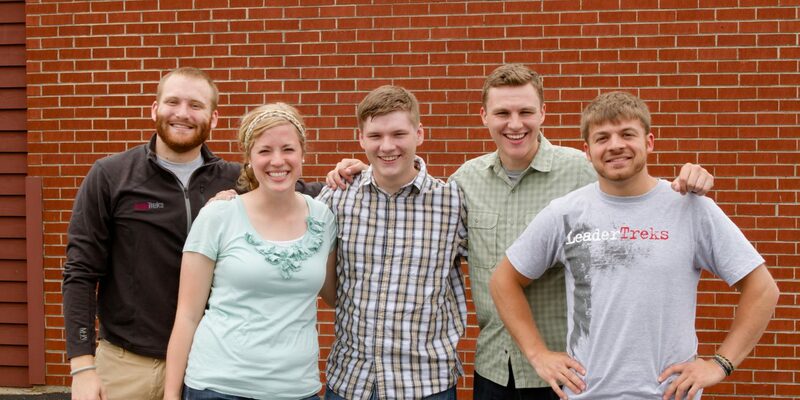 These are visionaries who will show you what it means to do real ministry. Our mission sites include Atlanta, Chicago, Kentucky, Memphis, Pawleys Island, Montana, Milwaukee, Austin, Myrtle Beach, and Costa Rica. 3. Develop interns during the summer. As a part of the Summit Program, you will have one to two college-age interns assigned to work with you during the summer. You will mentor and develop them as you work alongside each other. LT staff will have weekly mentoring sessions with interns assigned to them. Trip leaders will delegate responsibility to their interns in a way that will benefit trips and students as well as help the intern grow in leadership and discipleship. 4. Facilitate Leadership Training Retreats for youth groups and Christian schools. You will travel across the country to lead these events for 3-5 weekends a year, partnering with some of the most dynamic youth ministry leaders and Christian school teachers in the nation. These events are a more formal type of leadership training that include speaking with a power point presentation, facilitating large group and small group discussion, and leading and debriefing team-building initiatives. Leading these events will challenge you to improve your teaching and will allow you to intervene in students’ lives. 5. Gain clarity in your passions, gifts, and calling. As part of the Summit Program, you will gain a clearer perspective of God’s calling in your life. This happens through the training you receive, during the experiences you have leading trips and training events, and through the people you will work with. You will take a battery of assessments that will help you better understand how God has gifted and wired you, building a personal leadership and personality profile. You will receive weekly evaluation and mentoring from our Program Director that is focused on helping you improve your leadership and placing you in areas of giftedness. Within the Summit Program, you’ll interact with dozens of full time youth pastors from all over the country. Through that interaction, tons of training, and real life experience in the field, you’ll grow in the skills and awareness needed to disciple and develop students for years to come. On trips, we teach students practical leadership principles and give them an experience in which they can put them into practice. We believe this is how transformation happens. Trip leaders are trained to be deliberate and intentional with every aspect of the trip in order to transform students’ lives rather than simply giving them a good experience. Food: The trip leader gives a student the responsibility to lead their peers on the food team to cook and feed their team. The trip leader coaches that student, using both their successes and failures to teach leadership principles. Work Site: The trip leader selects and facilitates the work site in order to give students maximum opportunities for growth. They are trained to strategically apply leadership principles and biblical truth to connect the dots between what is happening on the trip to their relationship with Jesus. Ministry: LT staff coach and mentor ministry team student leaders in what it means to lead their team by connecting leadership principles with real ministry experience, helping students realize their potential to do amazing work in God’s kingdom. Evaluation: Each evening, teams will have an evaluation session led by LT staff. These sessions will help students recognize positive actions as well as things that need improvement. The trip leader will help students set goals and will teach them to make specific and measurable action steps to achieve those goals. Teaching: LT staff will lead nightly Team Time meetings on trips. These meetings include evaluation, Bible study, prayer, and an encouragement segment. Trip leaders will facilitate dynamic discussions with students, helping them see the connections between the Bible, their experiences on the trip, and their lives back home. Training: LT staff will lead nightly training sessions for adults on the trip to help them better understand how to develop students as leaders.